FREE Museum Admission Nationwide on Sept 29! 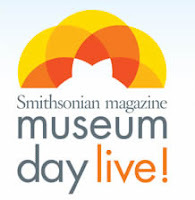 September 29th is Museum Day Live! and the Smithsonian Magazine is giving away free tickets to participating venues in honor of it! Click here for more info and to request a ticket.